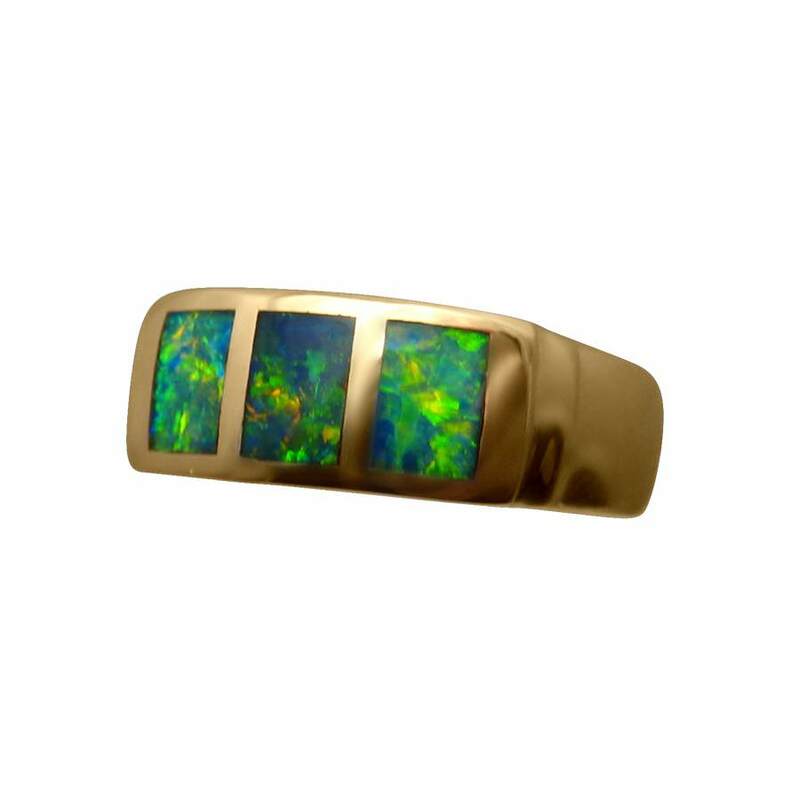 An Opal ring for men with three very bright Black Opals inlaid in a band of 14k Gold. 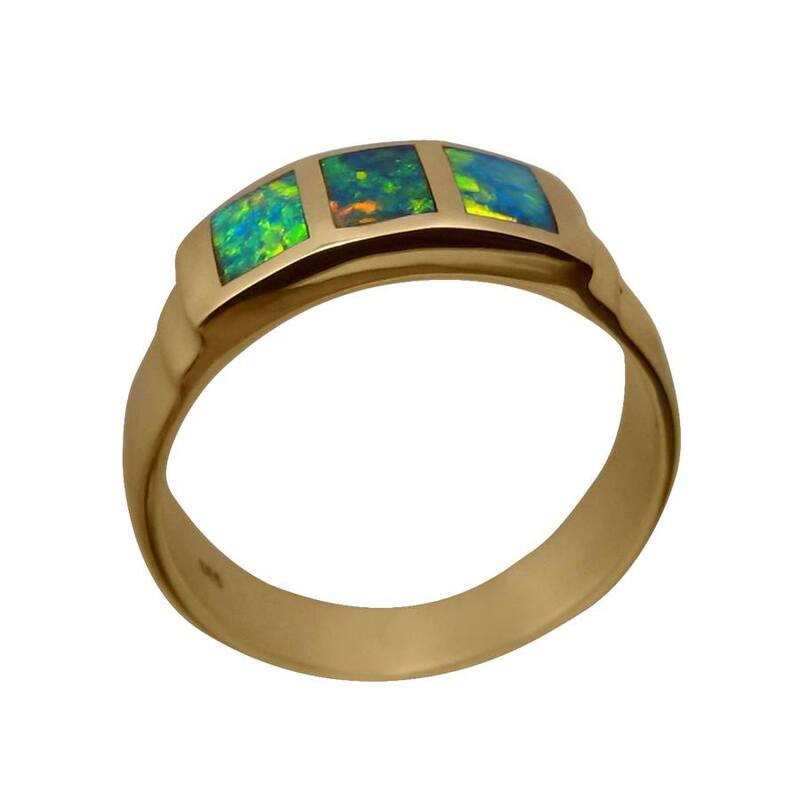 This quality Black Opal ring is in 14k Yellow Gold and has a wide band of 7.2 mm which is likely more suited to men however it will appeal to some women. 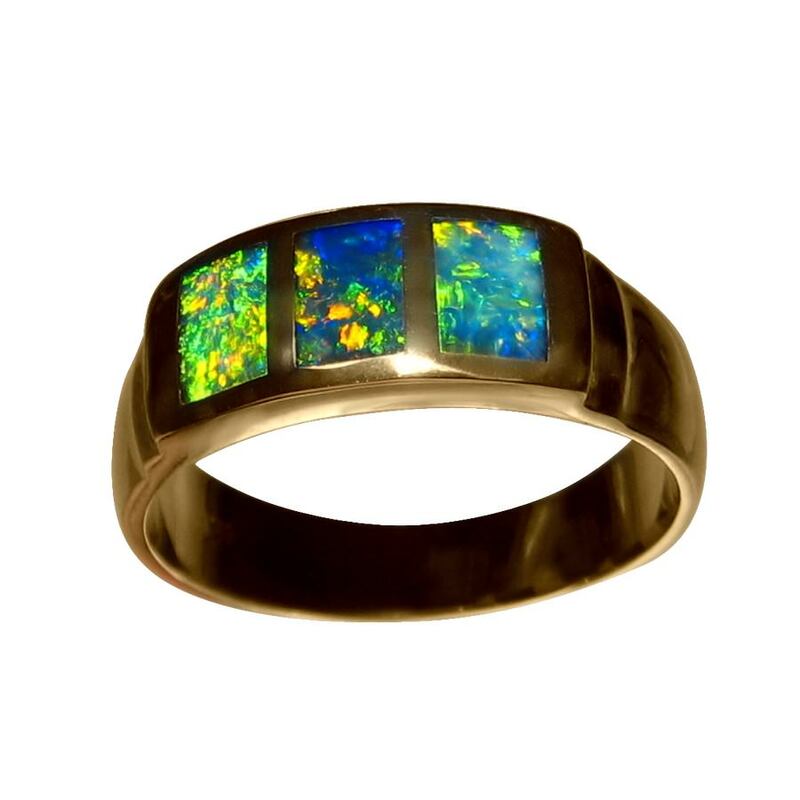 The band is inlaid with three rectangle cut solid Lightning Ridge Black Opals that flash a vibrant mix of Green and Gold in a lively play of color you will see in the video below. 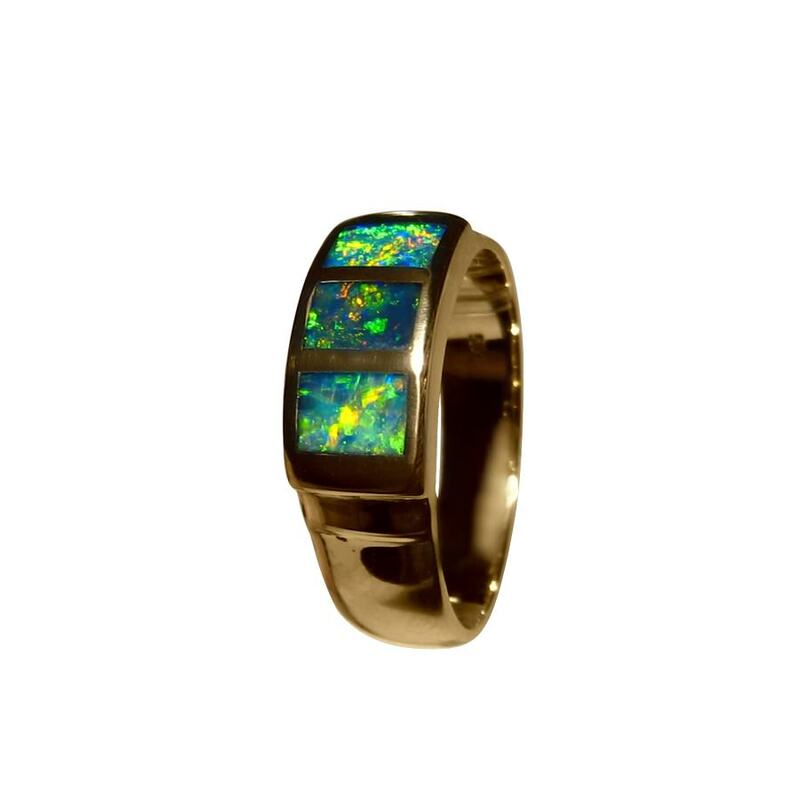 This fabulous Black Opal ring is ready to ship as detailed below and if you need a different ring size or Gold color, contact through this page to inquire about availability of Black Opals to match. 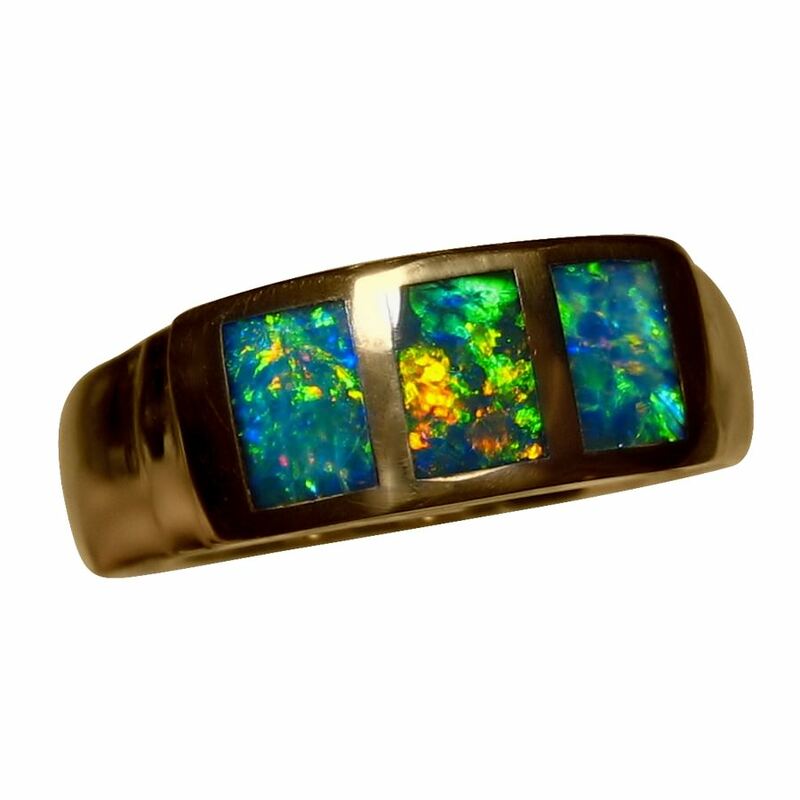 The photos do not capture the true shine of polished Gold but the video will indicate better than the images and you can find out about how we photograph opal jewelry. Beautiful ring and super fast delivery.